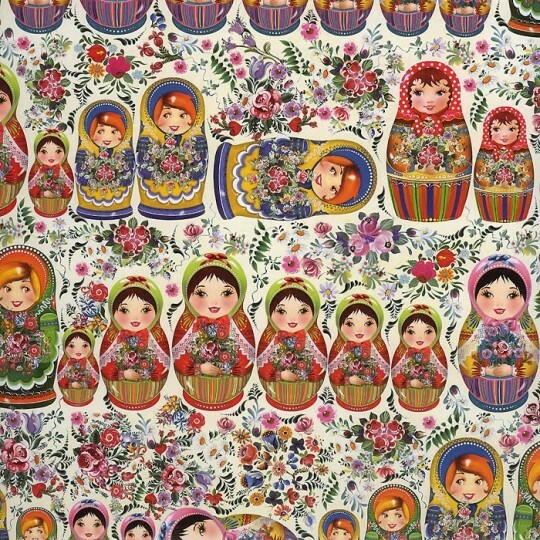 1 sheet measuring 19.5" x 13.5" of beautiful Russian nesting dolls paper with golden embellishments. The tallest doll measures 2-1/2" tall. 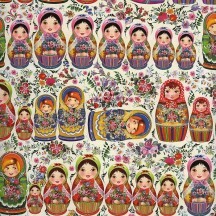 Beautiful for gift wrapping, card making and any occasion that calls for an extra special, unique print. Printed in Germany. 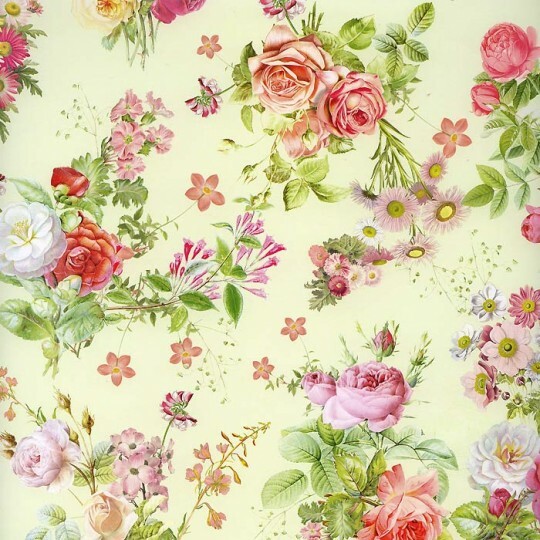 1 sheet measuring 19.5" x 13.5" of beautiful specialty paper featuring bouquets of roses in pinks and pastels. Beautiful for gift wrapping, card making and any occasion that calls for an extra special, unique print. Made in Germany.